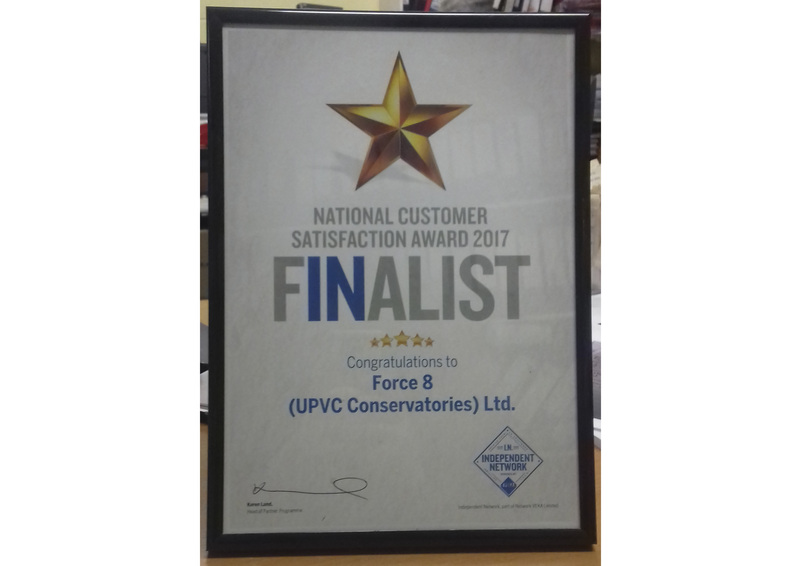 Force 8 has become a finalist for the National Customer Satisfaction Award 2017 from Independent Network VEKA. This is the second year that have become a finalist for this award. We have received this award because we have gained some of the highest amounts of satisfaction from our customers; this ranges from customer service to the instalment process of our windows and doors. Force 8 takes the thoughts and needs of our customers seriously and we always put the highest amount of quality into every aspect of our work. Being a part of Independent Network by VEKA allows our customers to trust our products and services. Joining the Independent Network is not an easy task so when their logo is seen on our website, products and letters you will know that Force 8 is partner with the best in the home improvement industry. Being a member of Independent Network shows that Force 8 is committed to the high standards that have been set. The awards evening for the Independent Network Customer Award takes place on 16th June 2018 in Warwick. We will keep you updated this summer on the National Customer Satisfaction Award.